An Ourimbah junior, Carlaw started playing first grade rugby league with the Hunter Mariners club in the Australian Super League competition of 1997. Following the disbanding of that club upon the creation of the National Rugby League, he joined another new venture team, the Melbourne Storm for their first season. 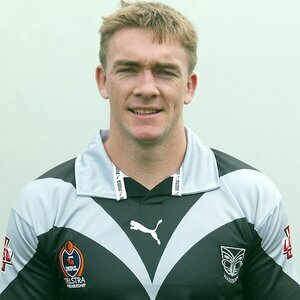 In 1999 Carlaw moved to the Balmain Tigers for their final year before they merged with Western Suburbs Magpies to form the Wests Tigers club, whom Carlaw continued to play with. In 2002 Carlaw moved to the New Zealand Warriors. He played at centre their 2002 NRL Grand Final loss to the Sydney Roosters at the end of the season. 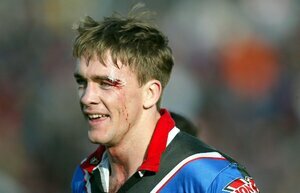 He played another season with New Zealand before moving to the St. George Illawarra Dragons for his final year in 2004. He played in his 150th first grade game for the Dragons against his old club, the Warriors, on 14 August 2004.